Practical solutions for common neighbourhood problems. We've all heard the "nightmare neighbour" stories, but what can you actually do about them? There are a number of laws that may assist. We look at some common neighbourhood problems such as noise, rubbish, fencing and tree problems, and provide some practical solutions to resolving them. Noise from parties, stereos, power tools, lawnmowers and chainsaws are part and parcel of urban life. But sometimes the volume or timing of the noise makes it illegal. Under the Resource Management Act landowners have a duty to avoid making "unreasonable" or "excessive" noise. So what do you do when it's 3am on a weeknight, and you've lain awake for the past 4 hours listening to drunken revelry coming from next door? If it's a one-off, you might just ignore it, but if the neighbours have partied every night since they moved in a week ago, your nerves are probably starting to fray. The best approach is usually to discuss the situation with them - preferably when they're sober! If this doesn't work, contact your local council. It has an obligation under the RMA to control noise emissions. Depending on the circumstances, the council can dispatch a noise control officer (NCO) who will visit your neighbours and if necessary issue an "excessive noise direction" notice. The notice states that unless the excessive noise stops immediately, the source of the noise will be removed. In the case of a party in the middle of the night, the stereo has to be turned down to a reasonable level, but not off. If however, the source was unable to be turned down (for example, a power tool), the NCO can order that it be turned off. If the unreasonable noise returns after the NCO has left, call the council back. They'll dispatch the NCO again, usually accompanied by the police. If the NCO decides the noise is still excessive, they can (accompanied by police) enter the house, by force if necessary, and seize the stereo. Although most complaints involve late-night parties, NCOs also attend complaints involving noisy bars, construction sites, alarms, buskers and even roosters! Factors that contribute towards noise being excessive or unreasonable include loudness, time of day, background noise and how often the noise is taking place. For more information see our full report on noise control. 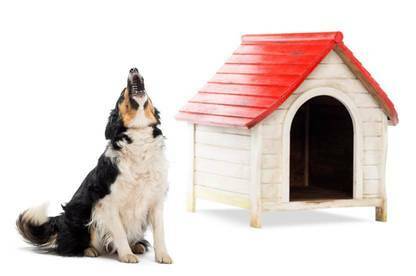 If consistent and noisy barking is bothering you, contact the dog's owners - if they're at work all day they may not even know there is a problem. Then, if necessary, call the animal control unit of your local council. They have responsibility for managing this problem under the Dog Control Act. They'll send a dog control officer to speak to the dog's owners and suggest ways of stopping the barking. This could be through altering its environment or having someone care for it during the day. The council may also issue a "bark abatement notice", requiring the owner to ensure the dog ceases barking or is removed from the property. It's an offence to fail to comply. Offending owners can be fined, and their dogs seized and either sold or put down. You can ask the dog control officer not to reveal your name or address to the owner, although the council will keep these details on record. If the matter goes to court, your identity will be disclosed because you'll have to give evidence. For more information about dog owners' rights and responsibilities see our report on Dog control. Many incendiary disputes develop over the location or height of fences. The Fencing Act sets down the rules. In general, it says that if you want to build a fence along the boundary, or do up a dilapidated existing fence, your neighbour should pay half the costs involved in building an "adequate" fence. That is, one that's "reasonably satisfactory" for its intended purpose. You can usually build up to 2 metres in height without having to get planning permission from your council. It's important to discuss your proposal with your neighbour first, and keep them informed of likely costs. If, however, your neighbour refuses to cooperate, you can serve a "fencing notice" under the Act. The "fencing notice" sets out all the details of the proposed fence, including the type, estimated cost, how the materials will be purchased and paid for, who's going to build it and when work will start. Your neighbour must respond with a counter proposal within 21 days or they're deemed to have accepted it, and must pay half. If they object, their response must take the form of a "cross-notice", which outlines their objections or counter proposal. You can read the Act at www.legislation.govt.nz - the notices appear as schedules at the end of the Act. For more information see our full report on fencing. Trees cause a lot of neighbourhood friction. If trees owned by your local council are overhanging your property, you can either cut them back (but not down) yourself, or ring the council and ask them to do this. Conversely, if trees are on your property and are overhanging council land, you can be required to trim them back, or the council can do it and charge you for its time. The rule of thumb is that trees on your property are your responsibility. If they cause damage to someone else's property - perhaps through a branch falling in a storm, or roots interfering with your neighbours' drains - then you're up for the repair costs. You're allowed to cut back roots or branches from neighbouring trees that overhang your property. But unless you have agreement, you can't do anything on your neighbour's side. And your neighbour still owns any roots, branches or fruit that fall onto your section. Some trees are protected. If you're in any doubt, check with your council before you start work or you may face a substantial fine! Like all neighbourhood issues, it's best to negotiate as reasonably as you can. Remember that not every tree blocking sunlight needs to be felled - most can be thinned or pruned. For more information see our full report on trees and neighbours. Local councils are responsible for rubbish removal, even if they have contracted out the service to a private firm. If rubbish is accumulating on private property, for example a neighbouring section, the local council is again your best bet. 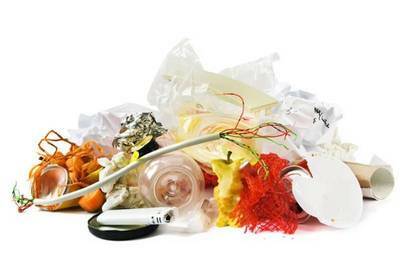 Under the Resource Management Act, it can order the property owner to clear the rubbish. If they fail or refuse to remove it, the council can require the owner to clean up the property. If they still refuse, the council can take the matter to court. If the rubbish is creating an extreme health nuisance, the Health Act allows the council to have the property cleaned and the owner billed for the cost. In most cases, a letter from the council is enough to resolve the situation. Most local councils have bylaws about outdoor rubbish fires to control pollution and ensure fires are safe. Fire and Emergency New Zealand has a website where you can check the rules: checkitsalright.nz. Complaints about smoke from neighbours' fires can be made to the Environmental Health section of your local council. Of course, if you suspect a fire is dangerous or out of control, you should dial 111 and ask for Fire and Emergency. If there's a derelict vehicle in your street, contact the council. If it's posing a danger to the public or is badly damaged, a council officer can have it towed immediately. Alternatively, the officer will attach a sticker to the car and write to the registered owner, asking the owner to remove it within 2 weeks. If the car stays put, it will be towed to a yard and stored for a month before being sent to the wreckers. The council will attempt to locate the owner to recover towage, storage and disposal costs. If you can't reach an agreement with your neighbours, your best option may be to take your dispute to a Disputes Tribunal. It costs very little and there are no lawyers involved. The District Court is another option, but it will be protracted and expensive.